My background in finance and market conditions offers my clients a unique advantage and perspective into the complex issues involved in real estate and the economy. Born and raised in Chicago, I have an extensive knowledge of the diverse cultures in Chicago’s different neighborhoods. As a resident of the Old Town/Gold Coast area myself for over 20 years, my love of the city is obvious. My goal as your realtor is to create an enjoyable experience from start to finish based on communication, honesty and trust. I am here to help you make a well-educated and informed decision. I will serve as your advisor and friend from beginning to end. Buying or selling a home is only a small part of the equation, but where many in my industry may stop, I run my business by referrals, which means that my livelihood depends on your satisfaction. I hope to become a long-term advisor of your current and future real estate needs. The Wexler Gault Team is a group of top producing Realtors with over 20 years experience and well over 300 million in sales. By aligning myself with these professionals, I am able to increase the attention I provide to each client while drawing the expertise of some of the best in the business. Before entering the world of real estate, I spent over 20 years as a member of the Chicago Mercantile Exchange trading S&P futures. I am a graduate of the University of Maryland with a BS in finance, and of Loyola University of Chicago with an MBA in finance. In my free time, I enjoy spending time outdoors with my son, Jaden and my dog, Houston. Lisa Reznick is an expert in her field and a true professional. Her business acumen, communication skills, attention to detail and sense of urgency have been invaluable to the successful sale of our property. She has exceeded our expectations. We are grateful for all her hard work and dedication and can’t thank her enough. Lisa’s professionalism and confidence in getting my condo rented out was magnificent. I live out of state, and need to rent my unit frequently, and it can be a challenge, Lisa ensured me that it would be painless, and she couldn’t have been more right! My family and I are relocating to Chicago and not knowing the area it was very helpful to have Lisa as our broker who knows so much. She got us exactly what we wanted and was always in constant contact with us. She make the stressful process of relocating to a new area much less stressful and easy. In fact, it was so easy that we never had to go up for a visit, Lisa did it all for us!! Without her we would have been lost!!!!! Lisa was very professional in all her dealings with us. She looked out for our best interest and kept us aware of all offers and updates. We felt we were in good hands all through the selling process. This is the second condo I have bought with Lisa in the past year. Her knowledge, professionalism and follow through is superior to any brokers I have used in the past. I would highly recommended Lisa to any friend or family member. Lisa was on top of things from the first time we spoke and walked me with through the process of renting my condo step by step. She was very thorough and professional. I would recommend Lisa to anyone. Lisa was an exceptional realtor. She was very professional and efficient in helping us rent our condo. I would highly recommend her to others. I have had several brokers in the past and was unhappy with all of them. Lisa Reznik far exceeded my expectations. She was so fast and extremely effective. Lisa was absolutely amazing. We had already tried out 2 brokers who failed to provide us with any of the help we needed. Lisa was able to effectively and efficiently get the job done and helped get us our ideal new apartment. From the moment I spoke with Lisa I felt more calm about the entire process. She took care of every component and made things fast and easy. I appreciated her using multiple methods of communication (text, email and phone calls) to ensure things happy quickly. Overall, it was a very positive experience, and I am very grateful. ~R. E. & E. G.
Lisa and Keith were very helpful and accommodating. They truly listened to what we wanted and showed us great properties. We would recommend them to any of our friends or family! My family and I are relocating to Chicago and not knowing the area it was very helpful to have Lisa as our broker who knows so much. She got us exactly what we wanted and was always in constant contact with us. She make the stressful process of relocating to a new area much less stressful and easy. In fact, it was so easy that we never had to go up for a visit, Lisa did it all for us! !Without her we would have been lost!!!!! Lisa was very professional in all her dealings wirh us. She looked out for our best interest and kept us aware of all offers and updates. We felt we were in good hands all through the selling process. I have had serveral brokers in the past and was unhappy with all of them. Lisa Reznik far exceeded my expectations. She was so fast and extremely effective. Lisa was a tremendous help in both selling my condo and buying a town home. She knows the market well and really understood what I was looking for in a new home. Lisa is very personable and easy to work with. She went above and beyond to close the deals and I highly recommend her. 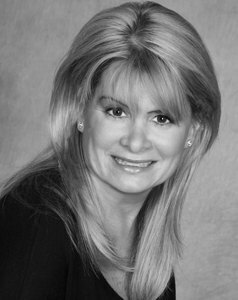 Lisa was a tremendous help in both selling my condo and buying a town home. She knows the market well and really understood what I was looking for in a new home. Lisa is very personable and easy to work with. She went above and beyond to close the deals and I highly recommend her. !